Dream has come true. 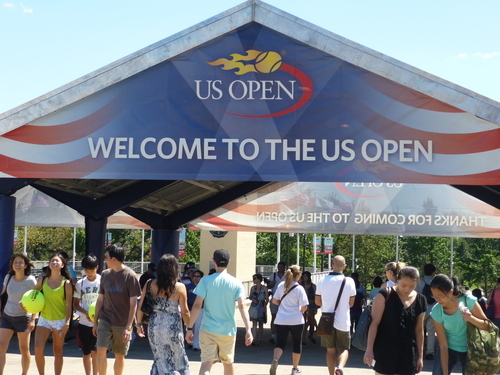 I could go to US open. 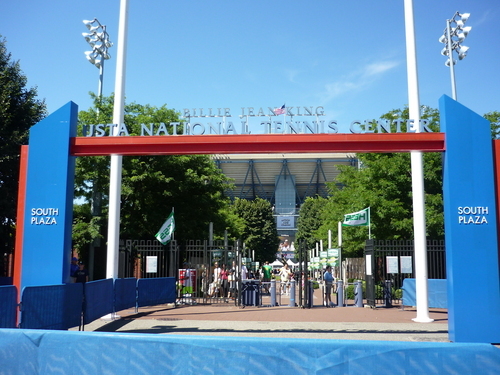 Many tennis competition are held in all over the world. Above all, 4 biggest title are Australian Open, French Open, Wimbledon, and US Open. If someone win the all 4 title, we say " He or she achieve grand slam." When I get off at the station, it was all US Open mood, so I was very excited. There were many food shop, sponsor shop, event booth...it was a kind of festival! 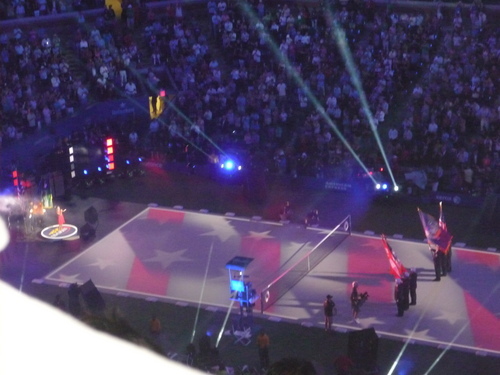 ↓This is opening ceremony at Arthur Ashe Stadium. I went first, second, third day. They are tournaments. So although there are a lot of players on the first day, they decrease day by day. There are only 2 people on the final, and only one can get victory. First round has big profit. Because we can see a lot of match, and we can see at close range. 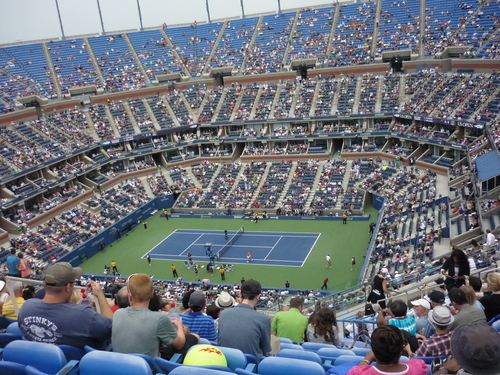 It's difficult to see top 5 ranking players, because their match are usually held at the main stadium which is called Arthur Ashe stadium. We have to get another ticket for Arthur Ashe stadium. Especially we have to pay a lot of many, if you want to see players close to the seat. 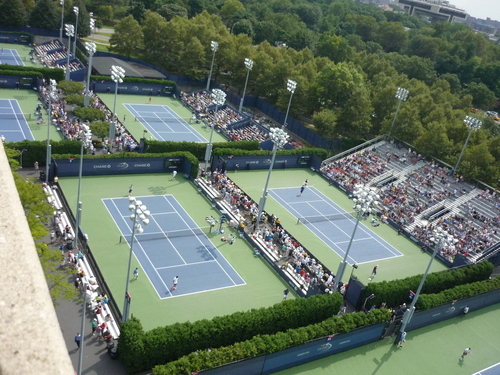 ↓This picture was taken from upper promenade at Arthur Ashe stadium. I discovered again that tennis is really fun. It's especially singles. Because tennis needs not only technique but also mental strength. Moreover men's singles is 5 set match, women's singles is 3 set match in grand slam. Sometimes they have to keep concentration for 5 or 6 hours. And players can't get any advice during the game. They have to consider how to play by themselves. For example how do they fix their condition, what's the week point of their opponent. ↓Kei Nisikori. He can't fix his service and lost at first round. I think top 10 players have almost the same ability. But besides top 5 players are especially good at fixing their condition than other players. They can put themselves into gear when they need. 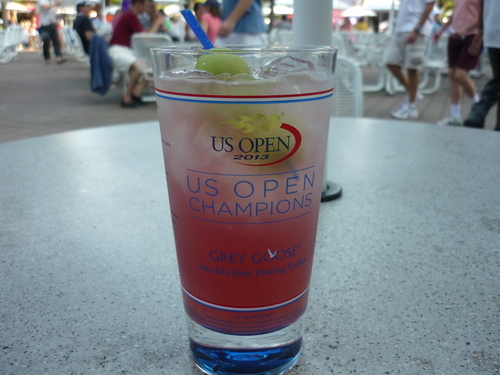 ↓It's limited cocktail in US Open. We can take out the cup. 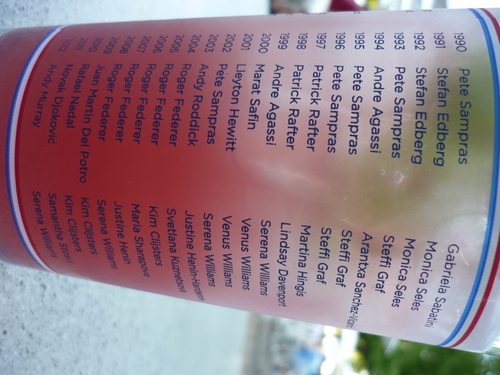 ↓It has past champion's names on the back. ↓They are ground court. 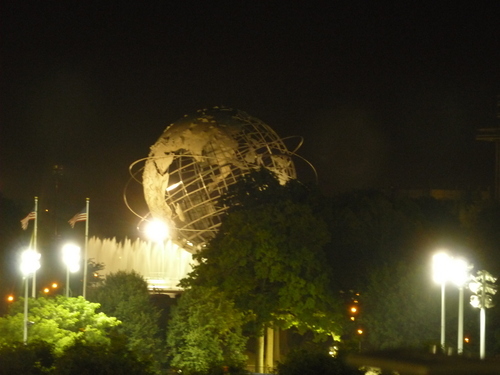 This picture was taken from Arthur Ashe Stadium. 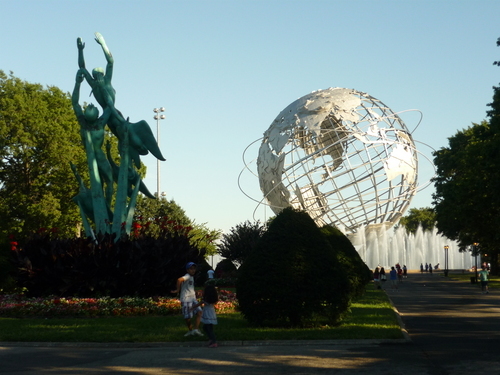 ↓This is monument of Flushing Meadows Corona Park. ↓Right up at night is beautiful too.